The July release for Schooloscope is now out. 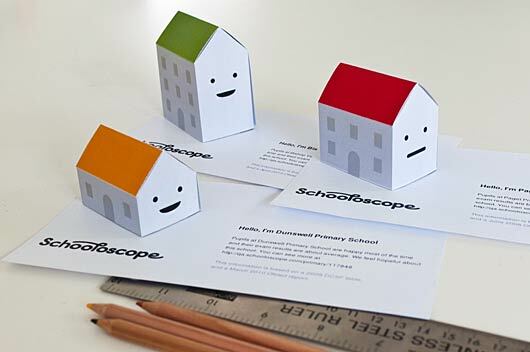 The release includes all manner of bugfixes, thousands of new OFSTED inspections, and easy output to Facebook and Twitter… and also these beautiful papercraft schools that you can download for any school on the site. Find out much more, over at the Schooloscope blog.